Magnate Lifestyle in Vaishnodevi Circle, SG Highway & Surroundings by Motherland Infracon LLP is a residential project. 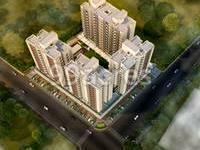 The Apartment are of the following configurations: 2 and 3 BHK. The size of the Apartment ranges in between 1197 sq.ft. 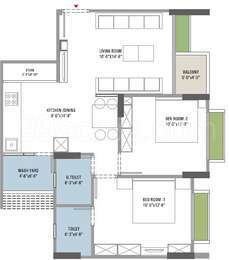 and 1440 sq.ft. Magnate Lifestyle offers facilities such as Gymnasium and Lift. It also has amenity like Jogging track. This is a RERA registered project with registration number PR/GJ/AHMEDABAD/AHMEDABADCITY/AUDA/MAA04358/14. It is an under construction project with possession offered in Dec, 2025. The project is spread over a total area of 1.8 acres of land. Magnate Lifestyle has a total of 5 towers. The construction is of 13 floors. An accommodation of 295 units has been provided. You can find Magnate Lifestyle price list on 99acres.com. Magnate Lifestyle brochure is also available for easy reference. SG Highway & Surroundings has a number of infrastructure developments taking place and hence the real estate market is on an upswing. The presence of various commercial industries in the city is the sole reason of generating a number of jobs and attracting workforce. This has a good impact on the realty market. The residential real estate of the city has a mix of luxury, mid-segment and affordable housing units. Where is Magnate Lifestyle located? The project is located in Vaishnodevi Circle, SG Highway & Surroundings. What apartment sizes are available in Magnate Lifestyle? The project offers apartments sized between 1197.0 sqft and 1440.0 sqft. What is size of 2 bhk in Magnate Lifestyle? The area of 2 BHK apartments is 1197.0 sqft. How much is area of 3bhk in Magnate Lifestyle? The size of 3BHK units in the project is 1440.0 sqft. How much is the actual area of Magnate Lifestyle?The area of the project is 1.8 Acres. When is the possession of Magnate Lifestyle expected?The project is slated for delivery in Dec 2025.